In our destinations and backed up by a wide infrastructure and logistics management, we specialize in: Groups, Special Events, Destination Assistance, Destination Experiences, and Transportation. NexusTours Groups Department offers exceptional service standards, flawless logistics and a multicultural staff of professionals available 24 hours, to handle every single detail of your event planning. We are specialists in the planning of trips and exclusive events for groups of any size. From galas, product launches, award ceremonies and corporate events, we can prepare the logistics and planning of your event and adjust to any budget, offering a range of historical venues and modern locations. 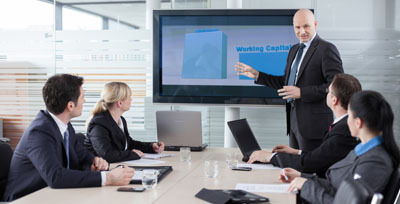 Taking into account everything from group size, scope and purpose, our team of experts will plan the logistics, transport, accommodations and any technical aspect necessary to ensure the success of your business conference or corporate meeting. 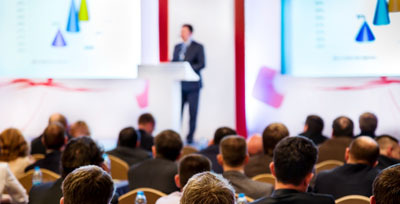 We can help you organize congresses and conferences of every size. We understand the importance of delivering an innovative and successful event that promotes your organization, so be confident that we will take care of every detail to ensure the best results. 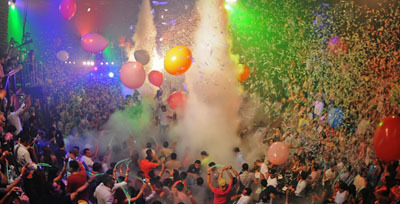 Be it for your clients, partners or staff, our expertise will ensure the complete success of your event. With handpicked venues, activities, tours and personalized branding, you’ll show your appreciation to those whose achievements you value. We can help you plan and manage exclusive trips for groups of students with a wide selection of fun activities and educational excursions. We will take care of every detail of the trip or interactive adventure. We know that nothing is more important than the wellbeing and happiness of your loved ones; we offer the best customer service and a variety of venues in beautiful destinations to ensure the success of your family gathering. 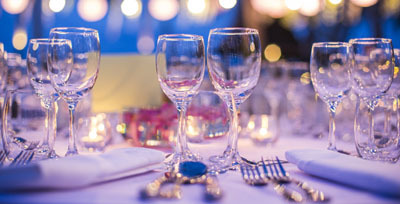 Our Special Events Department is ready to assist you both before and during your big day. We will make sure you have the perfect setting and we will take care of every detail. Let our experience work for you! We can recommend unique venues and make sure that everything has been taken care of; from the location to the required paperwork and everything in between. From a simple beach wedding for two to a full to ceremony fit for a queen, our wedding planners will assist you all the way during your special day. 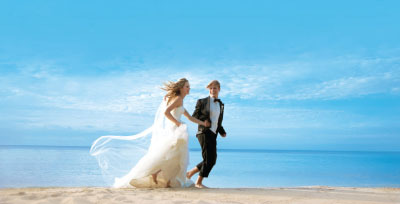 Your honeymoon package can be tailored to suit your needs and desires. We want you to have an unforgettable vacation; choose from all-inclusive honeymoon packages, tours, city breaks and resort hopping, and let us give you the VIP treatment you deserve during your once-in-a-lifetime vacation. It takes years of love and commitment to be able to celebrate a Wedding Vow Renewal; we know this and want to help you plan the perfect ceremony! Let the experts handle a moment as special as your time together and create a ceremony even more breathtaking than your wedding. Exclusive VIP party nights, shopping & spa days, paintball or a private beach setting for a special themed dinner are just a few of the options we have available. 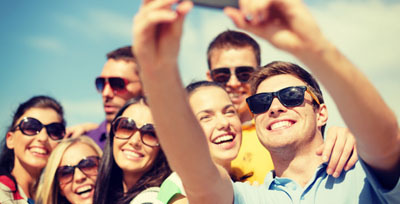 Let us know what you like and we will create a special itinerary for you and your group! 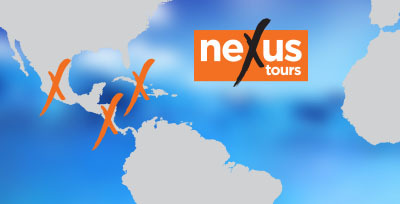 As soon as you arrive at your destination, you will experience the warmth of our Nexus representatives. We will greet you with VIP treatment and provide you with airport assistance so that you avoid losing time in Customs. 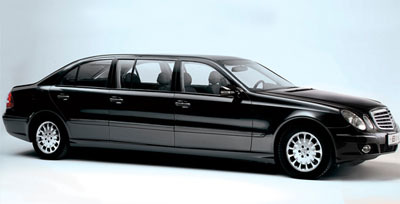 We will also take care of your Airport-Hotel transportation. Besides offering 24-hour phone assistance, we also provide multilingual assistance through our Hospitality Desk. The Hospitality Desk is located in the hotel and available 8 hours a day, offering tour information and any help you may require. Our highly qualified bilingual agents will provide you the best customer service during your stay. 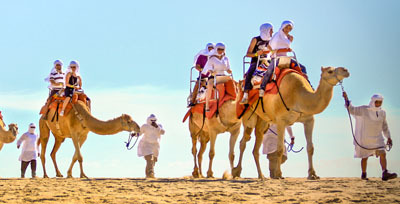 We offer a wide variety of excursions and activities. 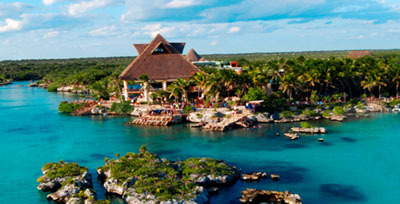 From relax and pleasure tours, to adventure and high energy excursions for individuals or families. We happily welcome sun worshipers, adrenaline junkies, wildlife fans, culture vultures, and party lovers. We are Your Local Experts. We provide all the fun and safety of the best activities on and under the surface of the water, including scuba diving, snorkel, jet-skis, parasailing, or catamaran cruises. 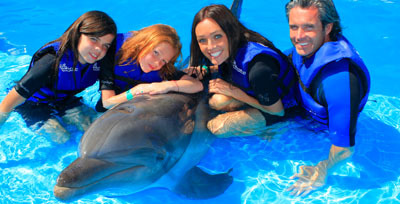 Unforgettable experiences with dolphins. We offer a variety of activities where visitors can interact with them while learning all sorts of fascinating facts about the marine world. 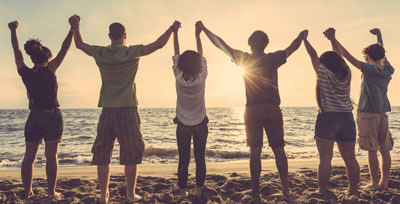 We can tailor a tour or itinerary to suit any budget and duration, using professional multilingual guides to ensure you and your group get the most out of every experience. 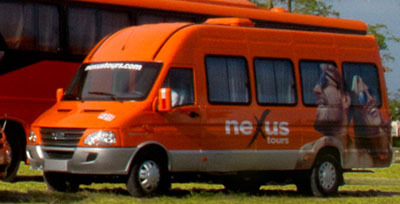 If you need tickets to any of the major theme parks or attractions in the area, NexusTours has some great deals to offer you. We have many options available for visitors seeking adventures and ecotourism. We offer a variety of tours and excursions like zip-lines, ATV safaris, horseback riding tours, whale watching, underground rivers, caves excursions, and much more! We offer special deals and activities to enjoy the nightlife in some of the best spots, with a variety of styles, from traditional live-music pubs to modern lounges, beach clubs, nightclubs and shows. 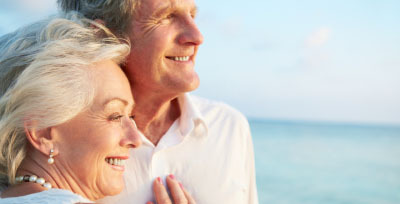 We can get the best options and best prices, both for individuals and groups. 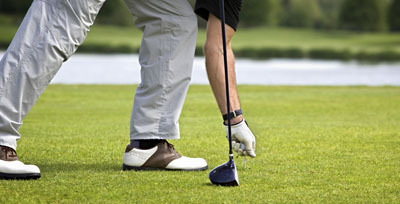 We offer access to the best golf courses in every destination and offer lessons, renting of equipment and access to tournaments, among other options available for golf lovers of every level. 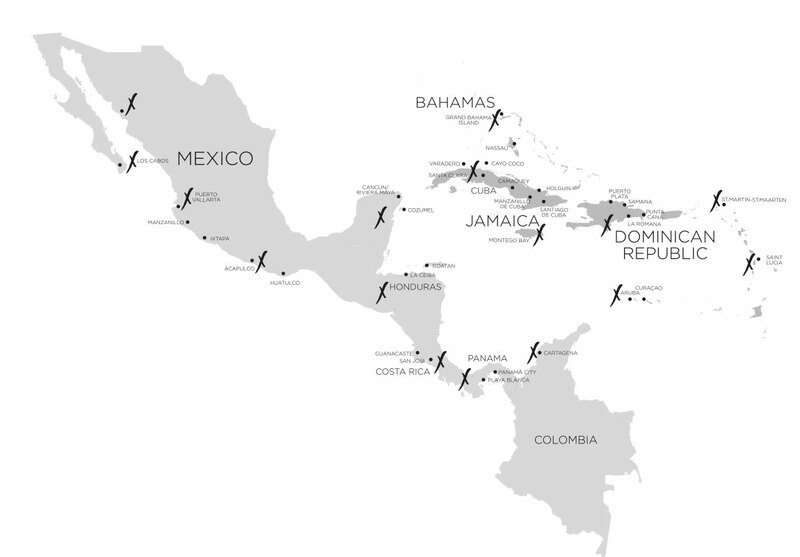 We can prepare a special circuit for you, through unique spots full of adventure and cultural experiences. You will get a chance to visit the most important places of your favorite region and enjoy the experience without having to worry about the planning. Each one of our destinations offers Ground Transportation Services through a modern fleet of spacious and comfortable air-conditioned vehicles equipped with state-of-the-art technology and a wide variety of capacities ranging from 5 to 61 passengers. Comfortably sits up to 59 passengers; featuring AC, TV screens, reclining seats, cup holders, stereo sound system, fridge, restrooms, Wi Fi –available in most units- and multilingual assistance with Nexus representatives at the airport. Available for small groups or large families, our vehicles can comfortably seat up to 10 people, including luggage. 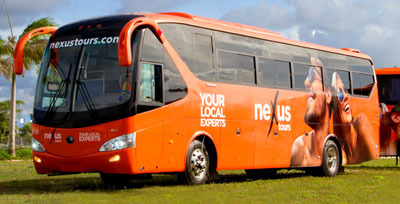 All minibuses and vans feature AC, personalized service and multilingual assistance from Nexus representatives at the airport. We offer modern and comfortable luxury air-conditioned cars or 4×4 SUVs, with state-of-the-art technology and a capacity of up to 5 passengers including luggage. For those looking for an exclusive service and first-class treatment, we offer VIP transportation with helicopters and stretch limousines available in selected destinations. 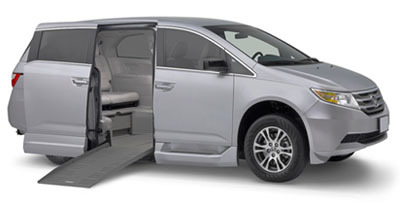 We also offer specially adapted vans equipped with ramps to allow easy access for people with impaired mobility.